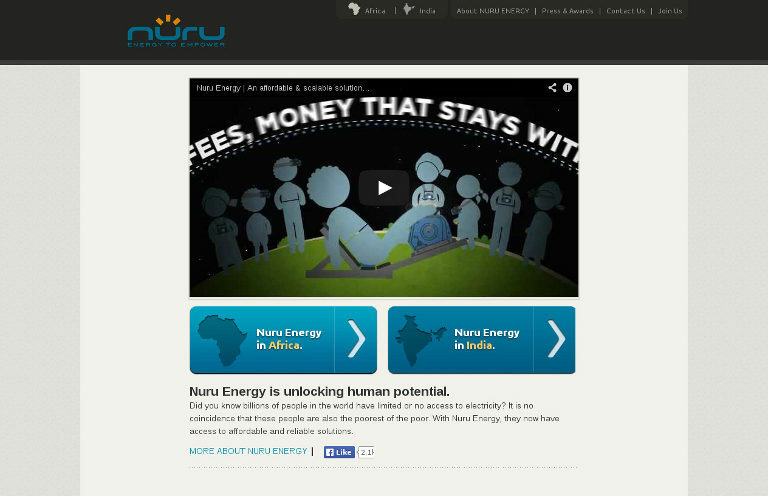 Nuru Energy has developed a one-of-a-kind robust and simple-to-use off-grid recharging platform, the Nuru POWERCycle pedal generator. The POWERCycle™ provides reliable, clean, and sustainable power anytime, anywhere. It is hundreds of times more efficient than current solar-based solutions at a fraction of the cost. It is used to recharge both mobile phones as well as Nuru Energy’s own portable modular LED lights, which can be recharged five at a time in 20 minutes, with each light providing up to 10 days of light to a rural household. Their bottom-up approach is evident not only in every product that they develop, but also in the way that they deliver these products to market. They work with local organizations to recruit and train micro-franchise entrepreneurs.